Want some vegan jam? 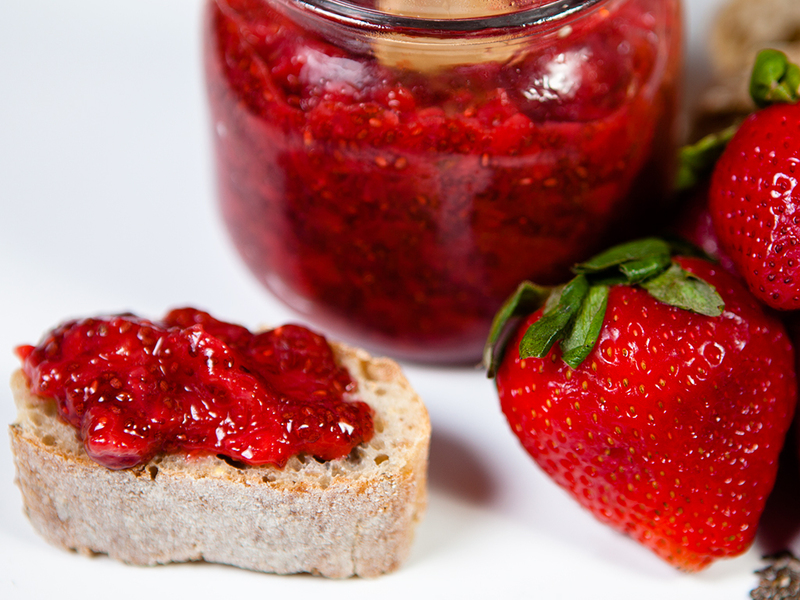 Try this wonderful and delicious strawberry jam. Heat fruit, stirring occasionally, until it begins to liquify, 5-15 minutes depending on your fruit. 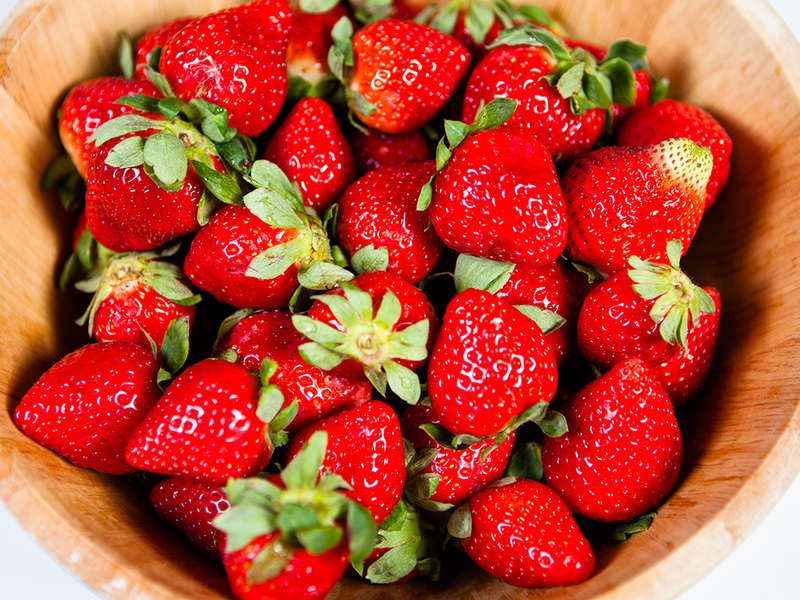 Allow the fruit to come to a boil, and let it continue to boil until it begins to break down and form a saucy consistency, about five minutes. If necessary, carefully mash fruit with a fork or masher until it reaches the consistency you’d like. Stir in the chia seeds and let cook for another minute. Stir again, remove from heat, and let sit until thick, about 10 minutes. 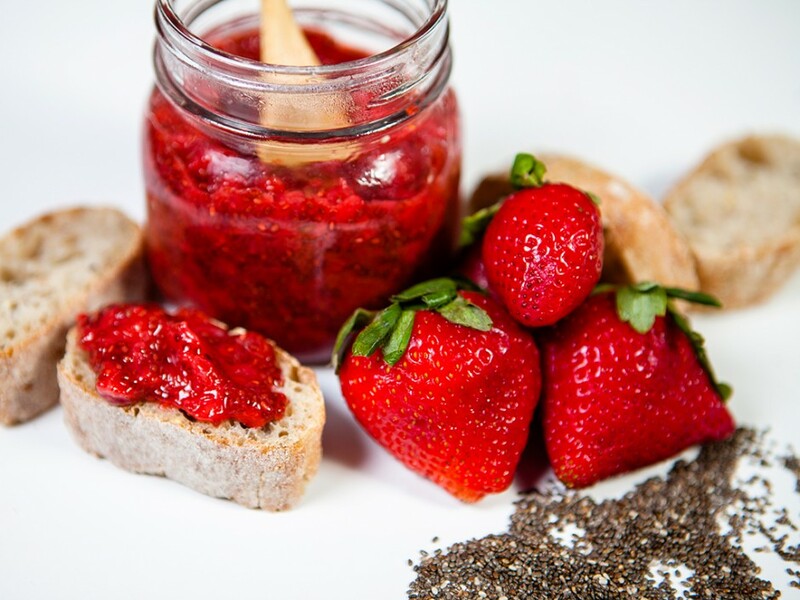 If the jam seems a little thin, add another teaspoon or two of chia seeds, stir, and let sit for another 10 minutes, but keep in mind that the jam will continue to thicken as it cools.